Natural Mineral Makeup Compared To Traditional Makeup: The Pros, The Cons… And The Truth! Curious about all the mineral makeup hype, especially with regard to all-natural mineral makeup? Mineral makeup does sound good for your skin and it looks great too, so I set out to see if it really is as good as it seems.Here’s what you need to know about natural mineral makeup — the good, the bad, and the truth. If you want to look beautiful but NOT made up, here are some tips for achieving a fabulous flawless complexion, the perfect plump lips, and the most natural looking eyes. These are the best videos showing how to achieve the most natural makeup look. The #1 best tip for finding the perfect glasses for you is to hone in on glasses shape & face shape — because different styles of glasses definitely look best on certain types of faces. Here’s how to find the best pair of sunglasses or eyeglasses based on your own face shape. 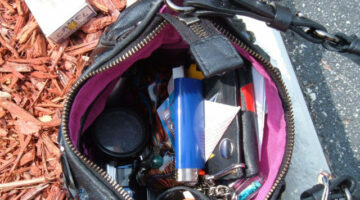 If you carry a purse and you want to keep it organized, here are the bare minimums you need for an organized purse.